We’re not stuffy. No fancy offices. No expensive cars. No layers of account management to drive up prices. Scroll down to see some of our Featured Exhibits! Every exhibit tells a story, a narrative of your brand and its unique attributes. Here is how the story takes shape. Dynamism draws show goers in to learn about Broadwind Energy's multifaceted offerings of manufacture and maintenance. We harnessed the allure of blue LED lighting and generous curves to evoke the feel of wind energy. Then used large scale graphics and client models to note Broadwind Energy's service offerings in blade repair and precision gearbox maintenance. Attendees were also able to view the impressive 18 ton gearbox up close. RND Exhibits streamlined the process to create a turnkey booth bringing all the elements together. 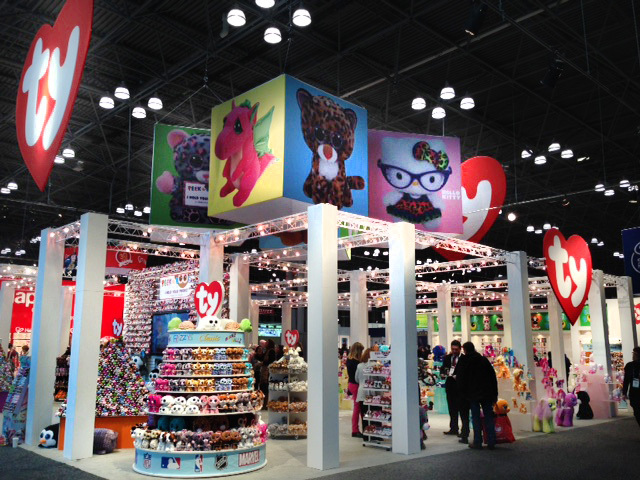 Ty has worked extensively with RND Exhibits in creating a crisp, modern display 50' x 75' for the 2016 Toy Fair. To highlight Ty's array of adorable furry creatures, we combined white custom construction columns and TY's existing overhead truss system laden with lighting. Building around existing TY properties of truss and lighting kept the stand in budget. How do you communicate the versatility of comfort mats around the home? 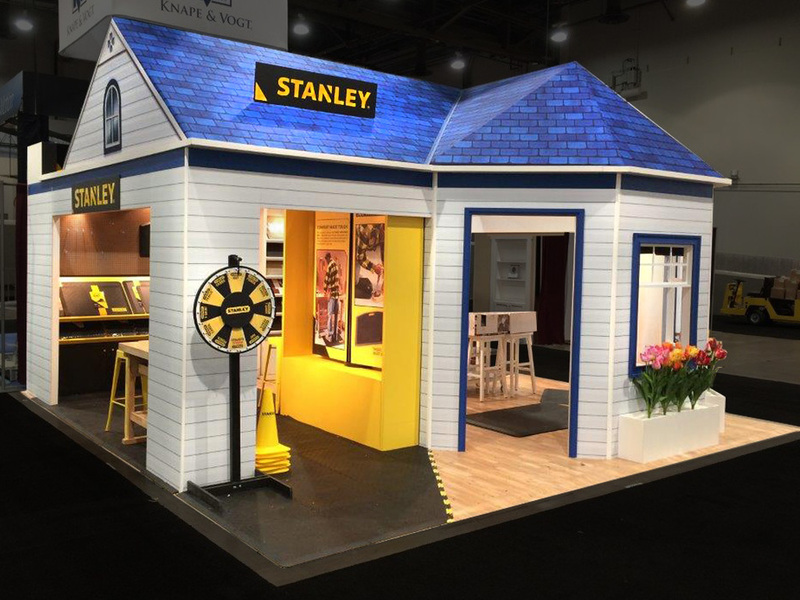 Innocor's marketing team tapped RND Exhibits to make the Stanley & Comfort Co. split 20' x 20' island home concept a reality. To showcase the many uses of the comfort mat technology in making a cozy home we built a hybrid Octanorm and custom construction house staying on budget and in concept.